Current debt thresholds triggering a tax lien sale. Image Credit: City Council. The City’s Lien Sale Program has been extended another four years with some minor modifications. A lien is a legal claim against a property for unpaid property taxes, water, sewer or other property charges. When the property owner has been delinquent for a specified period of time, the City is allowed to sell the liens to an authorized third party. The new purchaser then has the authority to collect the money that was previously owed to the City, plus other fees and interest. Prior to 1996, the City could initiate proceedings to sell the property itself if the debt remained unpaid for a certain period of time. This process, however, was costly to the tax-payer because the City was required to maintain the property until sold—some remaining with the City for 30-years before being sold. In 1996, the City created a mechanism to allow to the City to sell the tax lien on a property, instead of initiating foreclosure itself and attempting to sell the physical property. After a lien sale, the property owner still has a right to and possession of the property. The tax lien purchaser is a statutory trust which was set up and is closely monitored by the City. The trust is required by law to resolve outstanding debts in a “professional, fair, but unambiguous manner.” Between 2008 and 2016, 41,000 liens were sold to the Trust, but only 354 were subject to foreclosure and judicial action. In 2015, the City Council created the Lien Sale Task Force. Comprised of representatives from both the council and City Hall, the Task Force was created to review and evaluate the Lien Sale Program, and to report its findings. The report was issued in September 2016. The Task Force laid out four guiding principles to shape future administrative and legislative reforms to the Lien Sale Program. 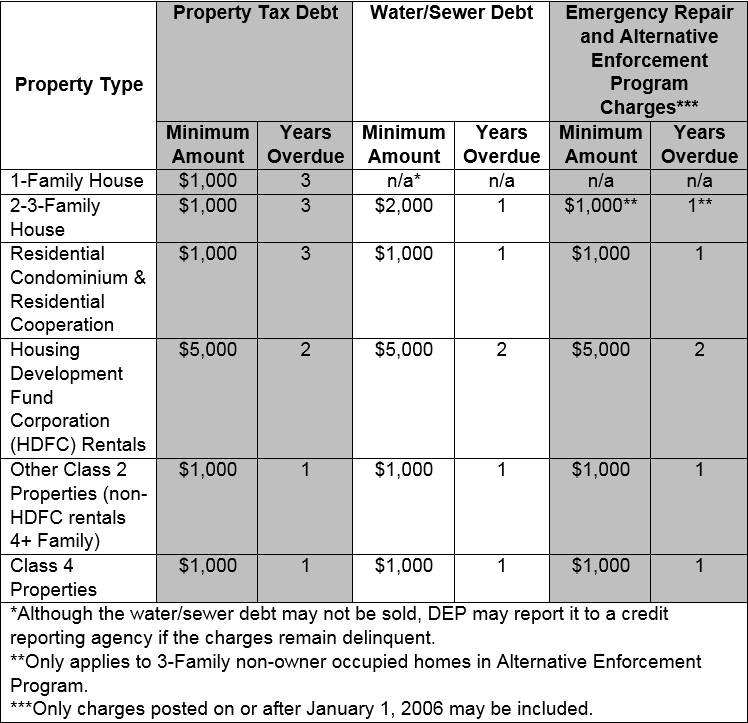 It was recommended that efforts should be made to minimize the number of properties with liens sold by “offering improved options for payment, increased access to information about available exemptions and abatements, and assistance to property owners to help them resolve their payment problems.” Property tax bills should be as clear as possible about what is owed and when. Evidence-based strategies should lead any reform and can be accomplished through a better understanding of causes for tax delinquency and lien sales. Finally, assessments should be made to see whether the resolution of outstanding debt could be used as an opportunity to advance other priorities. The Lien Sale Program expired on December 31, 2016. On January 18, 2017, the City Council voted 45-1 to approve the extension of the program until December 31, 2020. The extension bill, Introduction No. 1385-A, also allows for greater flexibility with payment plans, changes notification and communication requirements, mandates greater data collection and reporting, and allows for emergency repair charges to trigger lien sale eligibility for non-owner occupied one-, two-, and three-family homes.